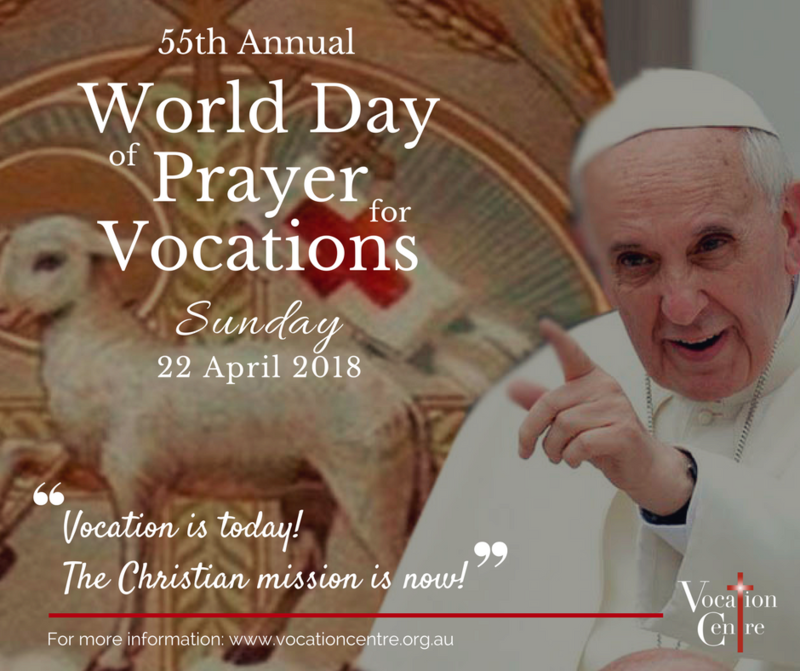 The World Day of Prayer for Vocations 2018 falls on Sunday April 22, Good Shepherd Sunday. 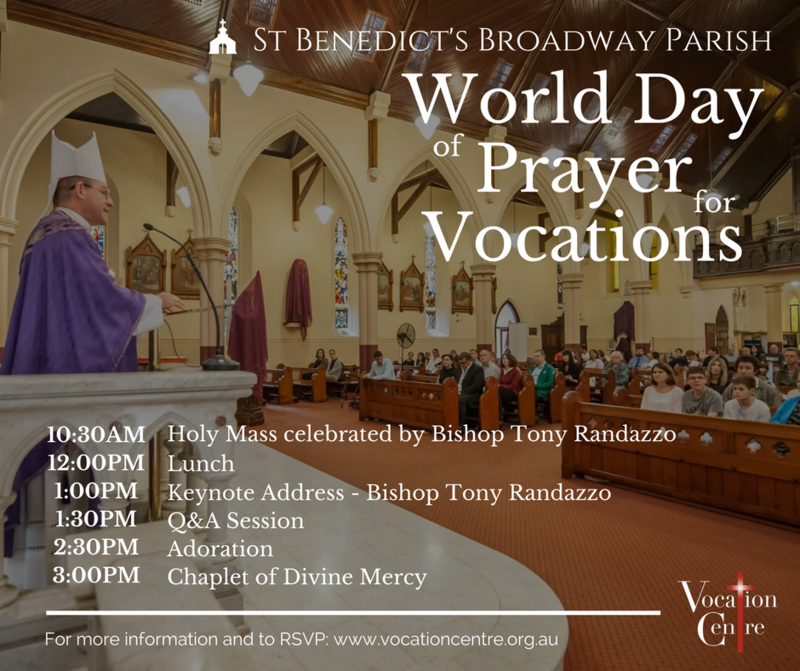 There will be a Vocations Day at St Benedict’s Broadway Parish, the day will include; Mass, Lunch, Q&A panel, Divine Mercy Chaplet and Adoration. In the lead up to World Day of Prayer for Vocations, we are using social media to encourage more people to pray for vocations. To do this, we are inviting everyone to take a photo of themselves holding up a plain white card/paper with the handwritten words – “#ImPrayingForVocations” and post it on social media. We hope that this ‘hashtag’ campaign will bring the online community together, and that through solidarity, will encourage more people to pray for vocations. The campaign will run from Monday April 16 through to Sunday April 22. → If you are attending the Vocations Day at St Benedict’s Broadway Parish on Sunday April 22 please RSVP by Wednesday April 18 for catering purposes.